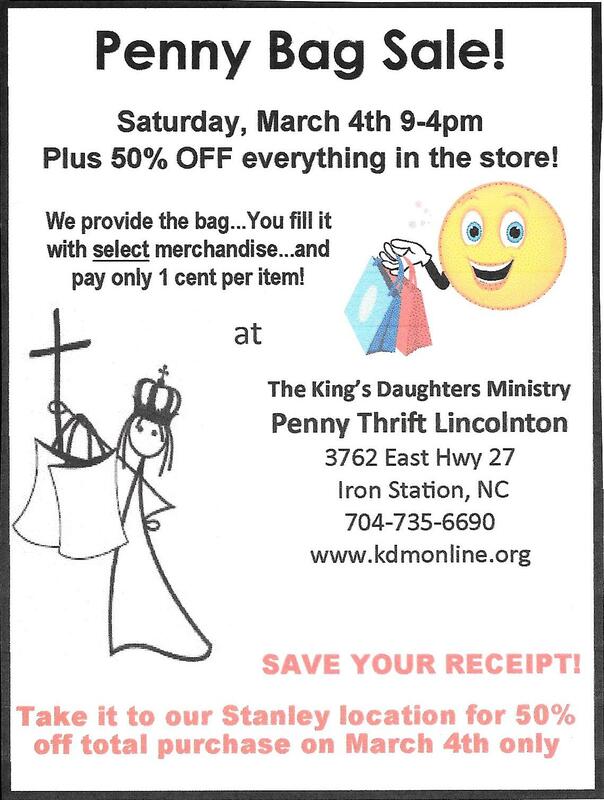 Penny Thrift Lincolnton will hold its Penny Bag Sale, Saturday, March 4th from 9am-4pm. We provide the bag and you fill it with select merchandise for a penny per item. The sale doesn’t stop there. The rest of the Penny Thrift Licolnton store will be 50% off and if you save your receipt and head down to our Penny Thrift Stanley and take 50% off your total purchase as well.